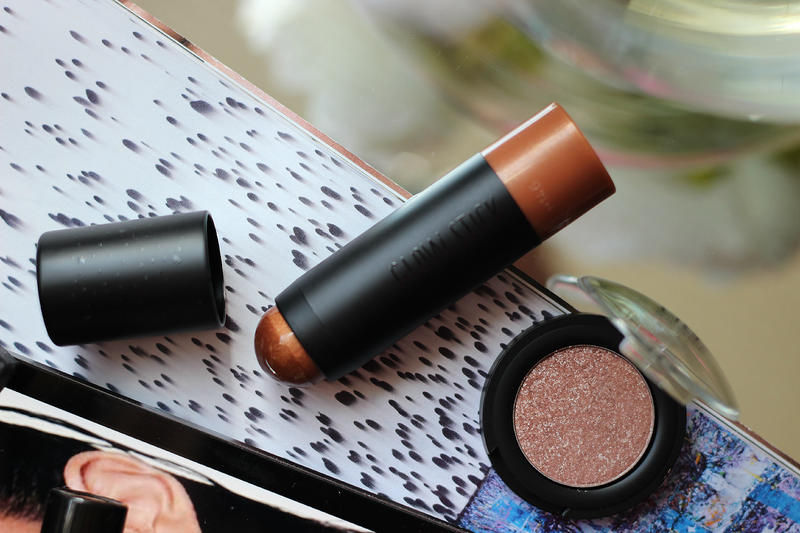 With 'summer glow' written all over it, their Chameleon Highlighter in Mother of Pearl further adds to their best-selling Chameleon range, and best selling it already is - I've been stalking the 'new in' page on a daily basis with no luck as to when it'll make a come back. Alas, texture and formula wise it's both creamy and buildable, making for a flawless, natural day time glow when patted on in all the right places or applied with a heavier hand for a more intense radiance. Sweeping on with a bit more bronze about it is their Glow Stick in Heat; a twist-up crayon which fits snug under the cheekbones for some chiselled contouring or can be swirled on and buffed in where the sun would naturally give you all the warmth. Dreamy, creamy with a decent but not over-done amount of shimmer it portrays that 'hey, I've just got back from holiday' kind of look and I'm all for that. To complete the collection there are four shimmering shades to their Eyeshadow Mono's in Shangri-la, a glowing rose-gold and my personal chosen shade, Pyramid, a straight-up gold, Holograph, a pastel baby blue and Hallucination, a pale iridescent pink. Initial ring-finger swatch suggested that there might be a fair bit of fall out from this one - I'll be back to report when it features in an upcoming first impressions video, but for now I've got my hopes pinned on a smouldering, shimmer heavy , slightly rust-toned smoky eye. 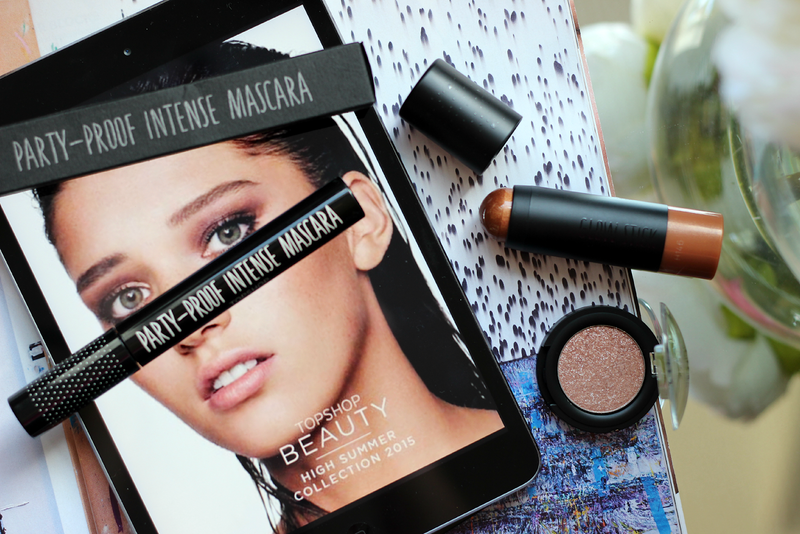 If any of the above have taken your fancy, or in fact anything from across the entire Topshop beauty bunch, they're throwing a free Party Proof Intense Mascara worth £10 in your basket when two or more products are purchased - now if that's not an excuse to empty your pockets then I don't know what is, but be speedy because the offer comes to an end on Thursday 30th July.